Jeremiah Alberg’s fascinating book explores a phenomenon almost every news reader has experienced: the curious tendency to skim over dispatches from war zones, political battlefields, and economic centers, only to be drawn in by headlines announcing a late-breaking scandal. Rationally we would agree that the former are of more significance and importance, but they do not pique our curiosity in quite the same way. The affective reaction to scandal is one both of interest and of embarrassment or anger at the interest. The reader is at the same time attracted to and repulsed by it. 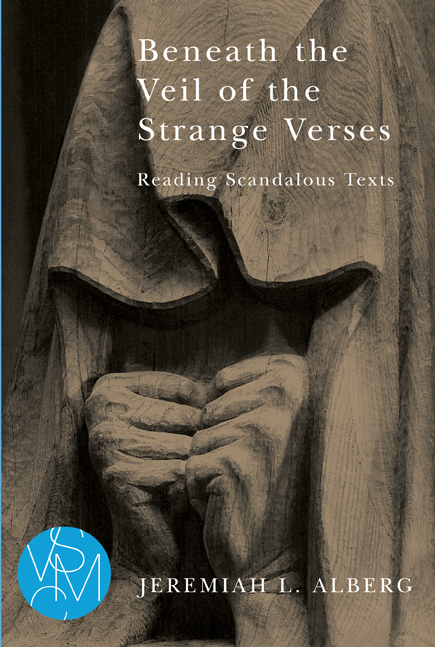 Beneath the Veil of the Strange Verses describes the roots out of which this conflicted desire grows, and it explores how this desire mirrors the violence that undergirds the scandal itself. The book shows how readers seem to be confronted with a stark choice: either turn away from scandal completely or become enthralled and thus trapped by it. Using examples from philosophy, literature, and the Bible, Alberg leads the reader on a road out of this false dichotomy. By its nature, the author argues, scandal is the basis of our reading; it is the source of the obstacles that prevent us from understanding what we read, and of the bridges that lead to a deeper grasp of the truth. Jeremiah L. Alberg is Professor of Philosophy and Religion at International Chris­tian University in Tokyo. He is Associate Dean of the College of Liberal Arts and Executive Secretary of the Colloquium on Violence and Religion (COV&R). "Looking beneath the surface of violence to its hidden motives in our disavowed desires is as difficult as it is necessary and neglected, and even forbidden as scandalous, especially in our age of culture as spectacle. Jeremiah Alberg musters some of the subtlest intellectual resources from Plato and Dante to Nietzsche, Rousseau, and Girard in order to courageously undertake this indispensable task. He adroitly leads us to read the revelation beneath the veil of these and other (notably Flannery O’Connor’s) 'secular scriptures'."